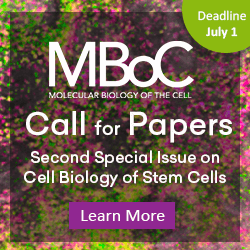 Molecular Biology of the Cell (MBoC) Editor-in-Chief David Drubin has announced plans to publish a second Special Issue on an important emerging area of cell biology, the Cell Biology of Stem Cells. Yukiko Yamashita will again lead a team of Issue Editors that will oversee the evaluation and selection of manuscripts. While much attention has focused on the great promise of stem cells for human health applications through tissue repair and disease modeling, stem cells are also proving to be attractive subjects for discovery of biological mechanisms. The abilities to produce many different cell types isogenetically from the same parent stem cells and to produce organoids of many tissue types make stem cells uniquely valuable for studies of cell biological mechanisms. The Special Issue will be published in winter 2019. Authors are encouraged to submit research Articles and Brief Reports by July 1, 2019, and Perspectives (essays) by August 1, 2019, to allow them to be reviewed and revised by the deadline for the Special Issue. Authors who wish to write a Perspective should contact the editorial office in advance. Manuscripts may be submitted at www.mbcpapers.org. 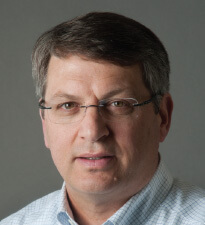 Questions about the issue should be directed to David Drubin at mboc@ascb.org.